James Cameron’s Avatar sequels have been in the work for quite some time, and a new video has revealed an unexpected addition to the movie. The Fast and Furious star Vin Diesel may have joined the cast of Cameron’s upcoming Avatar sequels. 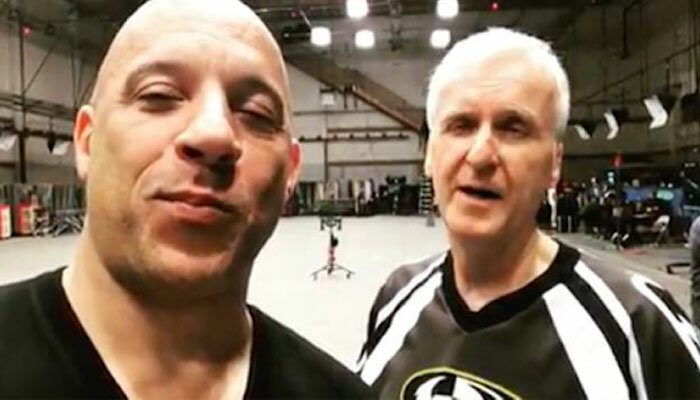 Diesel, best known for playing Dominic Toretto in the Fast and the Furious franchise, shared a post on Instagram of himself and Cameron on set, where he strongly suggested – without flat-out confirming, it must be said – that he is finally getting to work with one of the Hollywood’s biggest directors. “You never saw this," Diesel added. "But I will tell you, it’s long overdue. There is one person in Hollywood I have always wanted to work with and learn from,” he said pointing at Cameron. Diesel hints that working with the director is a dream comes true. “And the journey continues… #Blessed #Grateful #Avatar,” Diesel captioned the video. While there is no official announcement that the actor has joined the franchise, the video hints that he could at least be making some sort of cameo appearance. The studio 20th Century Fox had announced the second installment of the Avatar franchise will release in cinemas in December 2020, with Avatar 3 to follow a year later in 2021.